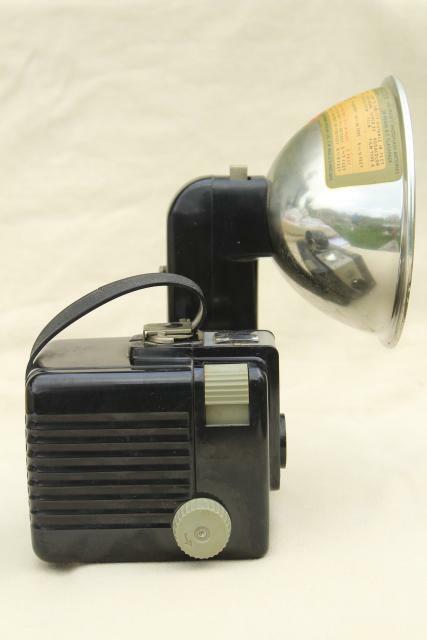 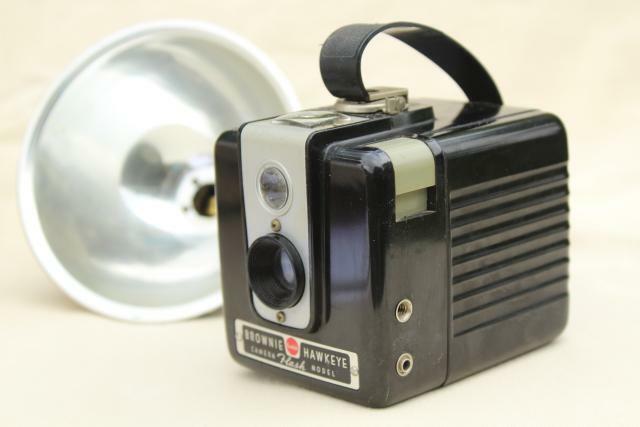 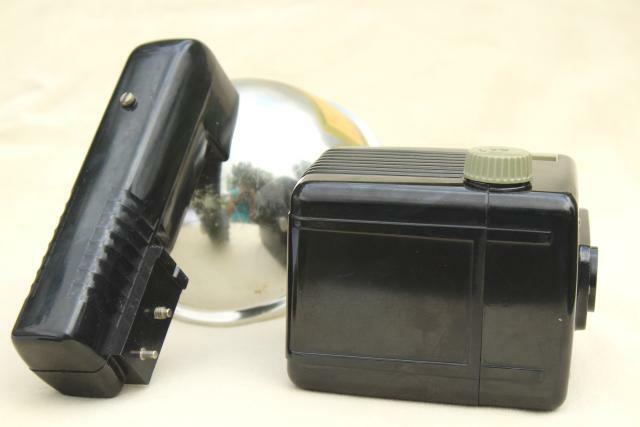 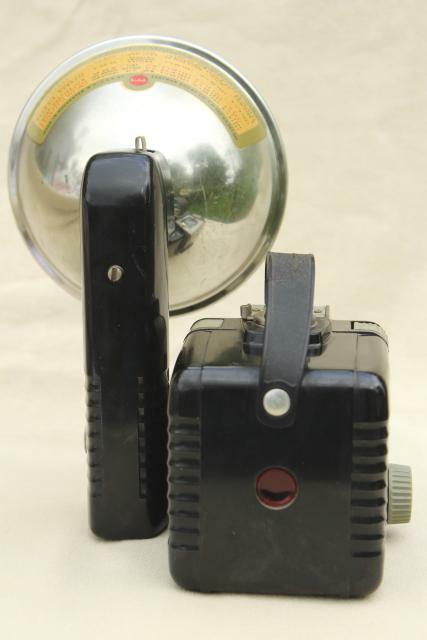 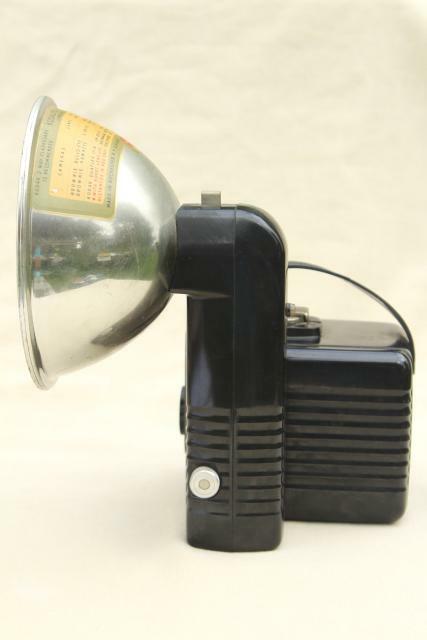 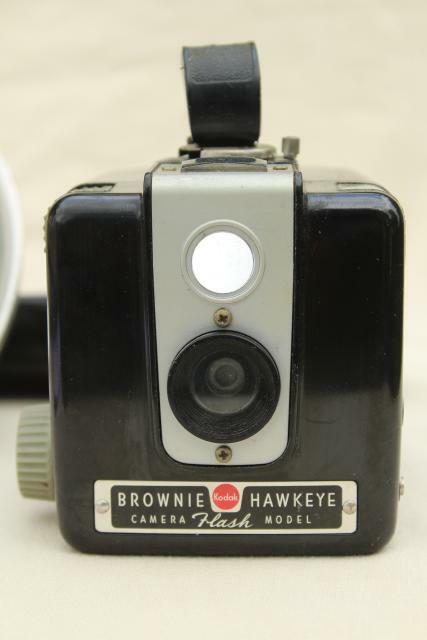 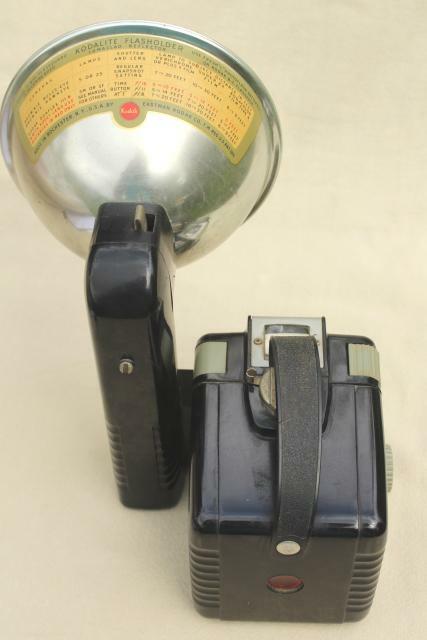 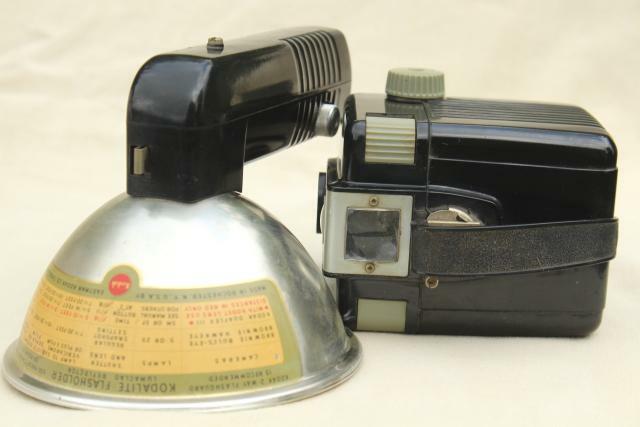 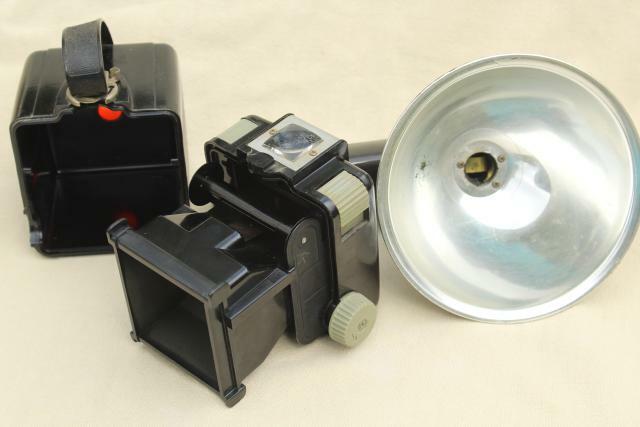 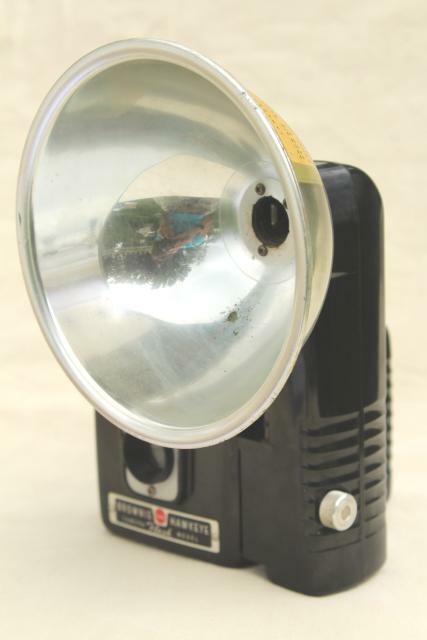 Old Brownie Hawkeye camera, with a nice clean bakelite body, and flash attachment as shown. 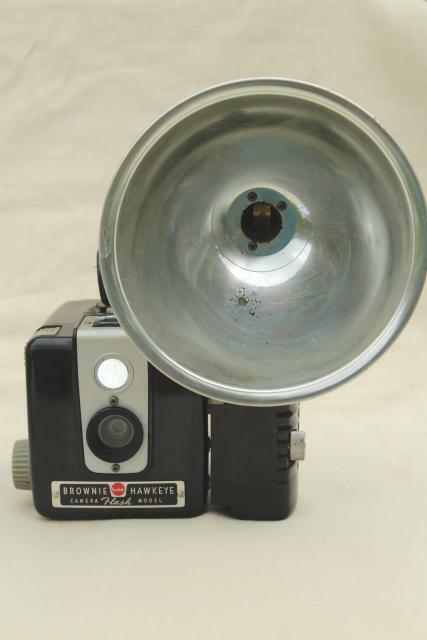 We have no film, and we have not tested this - though can see no reason why it wouldn't work. 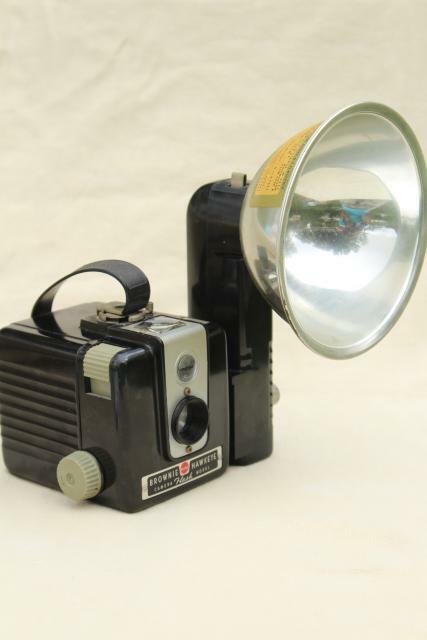 Makes a great display piece or photo prop just as it is!